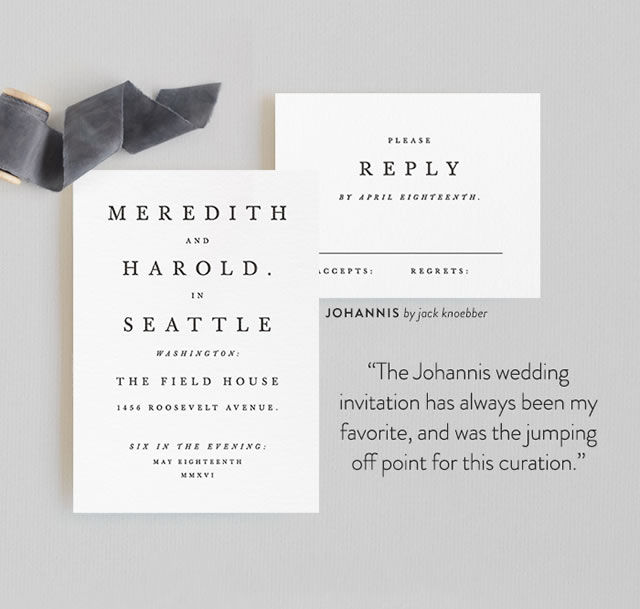 My wedding invitation suite called Johannis was featured in a Minted email this week. It's lookin' ðŸ”¥ ðŸ”¥ ðŸ”¥ . It was chosen by designer and Minted artist Nikkol Christiansen as part of a Grayscale-Wedding-Theme. You can see the entire email here. Â© Jack Knoebber. All rights reserved.